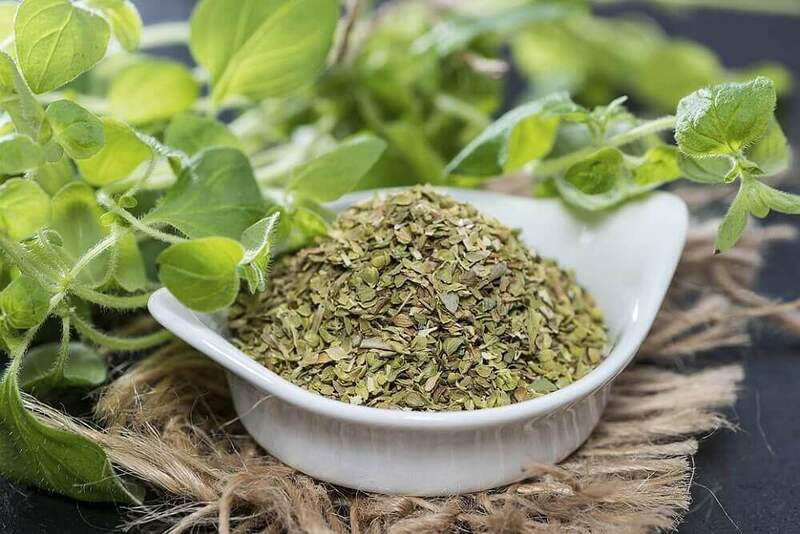 Oregano is a medicinal plant whose antimicrobial and anti-inflammatory properties are well-suited to combat viruses and bacteria in addition to soothing respiratory difficulties that result from bronchitis. Have you ever tried to reduce bronchitis symptoms with natural remedies? 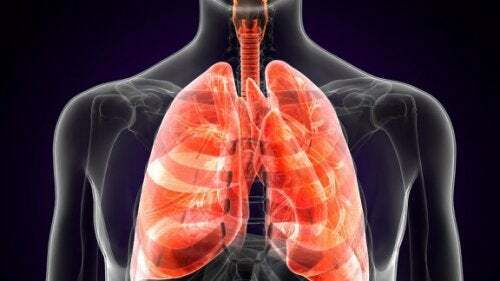 Bronchitis is a respiratory illness that is caused by the inflammation of the lung’s main airways. It results from complications from certain viral and bacterial infections that attack the respiratory system. However, it’s also a common illness among smokers and people who are frequently exposed to aggressive chemical substances. The main trait of bronchitis is an uncomfortable pressure in the chest, along with reoccurring cough, breathing difficulties and congestion. 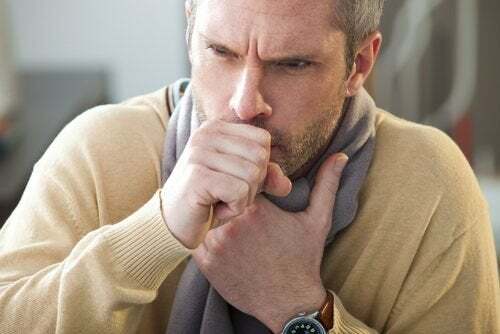 Bronchitis can bring about overall poor health, fevers and other varied symptoms that could worsen without the proper treatment. 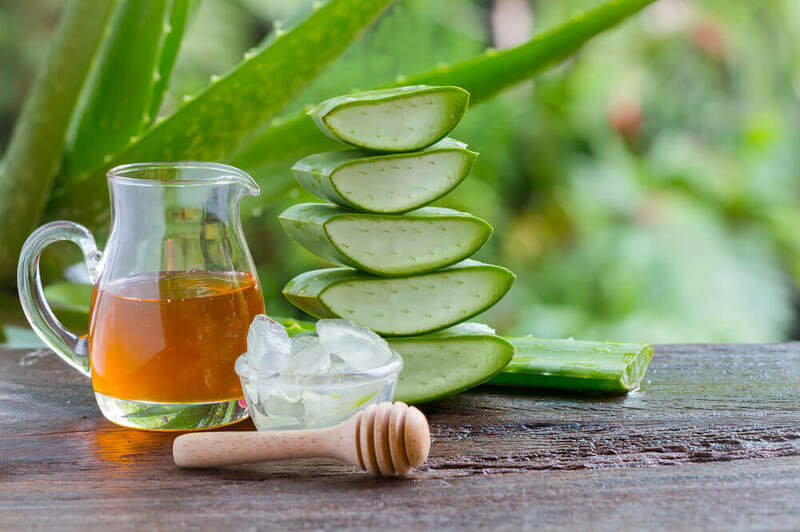 Fortunately, in addition to medical treatment, there are natural remedies that can help with recuperation without causing undesired side-effects. In this article, we’d like to share 5 great alternatives so you can be prepared if you ever confront this problem. Thanks to its expectorant and anti-inflammatory properties, mallow tea is one of the traditional remedies to control bronchitis. Mallow tea is great for reducing mucous membrane inflammation and, among other things, for controlling a chronic cough as well. Put a teaspoon of mallow leaves in a cup of water and bring it to a boil over low heat for 5 minutes. Take off heat, leave it to set for 10 minutes and strain. Drink the tea 2 or 3 times a day. The ingredients that we use in this natural treatment help control infections related to bronchitis. These anti-inflammatory, expectorant and mucolytic elements aid in clearing obstructed or narrow respiratory pathways. Quarter the onion and add it to a pot with a cup of water. Bring the water to a boil and then add the cloves and thyme. Cover the tea and leave it on low heat for 3 minutes. Take off heat and leave to steep for 10 more minutes. Drink the tea while warm, 2 or 3 times a day. Oregano is an anti-inflammatory and antimicrobial plant that helps fight against viruses and bacteria that attack the respiratory system. It’s a medicinal plant with soothing and bronchodilator properties, making it ideal for relieveing respiratory complications that arise from the narrowing airways of bronchitis. Add the teaspoon of oregano to the cup of hot water. Cover the water and leave to set for 10 minutes. Strain the tea and drink it slowly. Have it 2 times a day for 2 weeks. 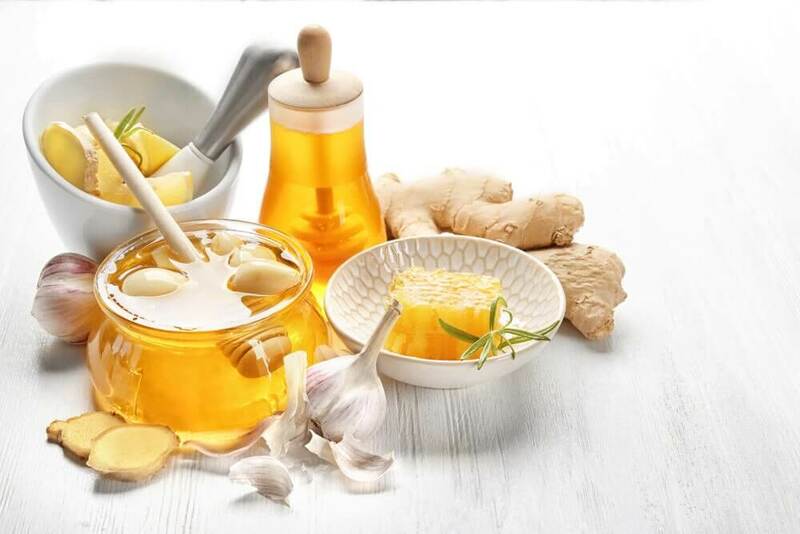 The mixture of garlic and organic honey is one of the age-old remedies for problems that arise in pulmonary health. 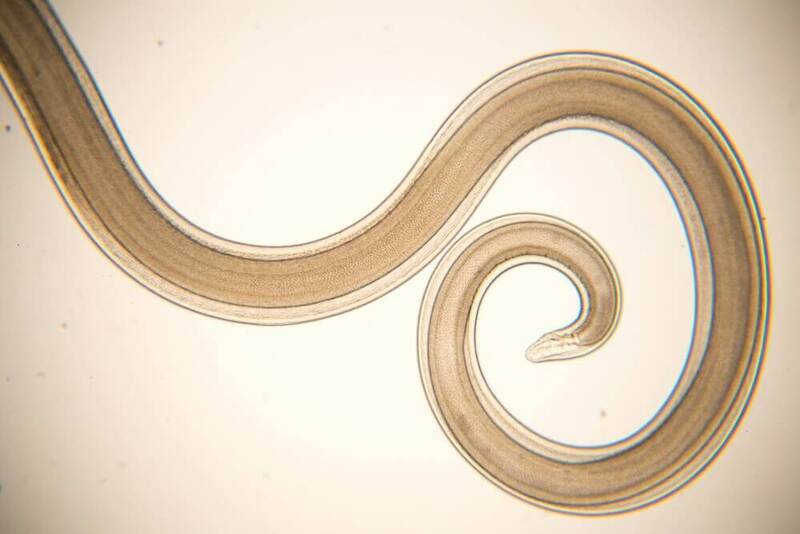 These ingredients contain antibiotic and antiviral substances that act swiftly against harmful microorganisms that can cause infections in the body’s airways. Finely dice the garlic clove and, once it becomes a paste, mix it with the teaspoons of honey. Take the remedy on an empty stomach and, if you’d like, dilute it with warm water so that it goes down easier. If you’re experiencing severe symptoms, take the remedy up to as much as 3 times a day. Other way to take advantage of honey’s antibiotic powers is by combining it with the properties of cinnimon. This anti-inflammatory spice helps clear out airways and reduces irritation, as well as chest and throat pain. Among other benefits, this remedy’s antioxidants and essential minerals strengthen the body’s defense system, improving the response against viruses and bacteria. Combine the half tablespoon of cinnamon with the tablespoon of honey and immediately dilute the mixture in a cup of hot water. Stir the tea, dissolving the ingredients well and drink it. Drink the cinnamon honey tea on an empty stomach and drink it later on in the day. You can have up to 3 cups of the tea in a day. 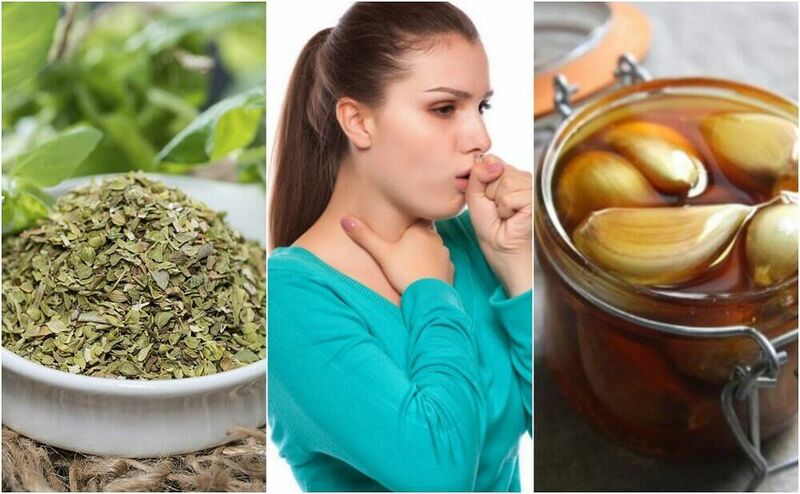 Using these remedies can reduce the congestion and cough that results from bronchitis. However, taking into consideration that the illness can result in more complications, you should make an appointment with your doctor for a check-up. Alejandro, M., Alberto, M., Gama Campillo, L. M., & Mariaca Méndez, R. (2010). El uso de las plantas medicinales en las comunidades Maya-Chontales de Nacajuca, Tabasco, México. Polibotánica, (29), 213-262. Chalar Vargas, Luis Rodrigo, Moya Mamani, Juan Carlos, Vargas Alvarez, Elmer, Sejas Rebollo, Magaly, & Romero, Betzabe. (2014). Función Antimicrobiana de la Alicina de Ajo en cultivos de Staphylococcus aureus, Pseudomonas aeruginosa y Escherichia coli. Revista Científica Ciencia Médica, 17(1), 26-28. Recuperado en 31 de enero de 2019, de http://www.scielo.org.bo/scielo.php?script=sci_arttext&;pid=S1817-74332014000100008&lng=es&tlng=es. Hernández García, Sandra Haydée, Rodríguez Arencibia, Miguel Ángel, Machín López-Portilla, María Teresa, García Martínez, Aimara, & Prat Ribet, Isandra. (2015). Tratamiento del asma bronquial en niños según la medicina Bioenergética y Natural. Revista de Ciencias Médicas de Pinar del Río, 19(2), 374-394. Recuperado en 31 de enero de 2019, de http://scielo.sld.cu/scielo.php?script=sci_arttext&;pid=S1561-31942015000200020&lng=es&tlng=es. PASTRANA-PUCHE, Y. I., DURANGO-VILLADIEGO, A. L. B. A., & ACEVEDO-CORREA, D. I. O. F. A. N. O. R. (2017). Efecto antimicrobiano del clavo y la canela sobre patógenos. Biotecnología en el Sector Agropecuario y Agroindustrial, 15(1), 56-65. Silva, F., Ullrich, T., Hartman, P., Medina, H., Moraga, L., & Saini, G. (2004). Plantas medicinales de la region de aysen-chile. Boletín Latinoamericano y del Caribe de Plantas Medicinales y Aromáticas, 3(2).